Tuberculosis (TB) is a major public health problem, particularly in Third World nations, where the prevalence of infection is reported to be as high as 40%. India has the highest number of TB cases, and interestingly many of these are multi-drug resistant tuberculosis (MDR-TB). Prompt diagnosis of TB is crucial for the success of ensuing treatment in any community setting. AFB smear is the most widely used diagnostic method for TB, though it is well known that nearly half of TB cases could be missed by this method. It is rather painful that sensitive and sharper tools of TB diagnosis are still beyond the reach of the health care systems and patients who are in most need of them. This calls for an urgent need for improved diagnostic tools for detection of TB and MDR TB that are cost effective. MODS (Microscopic Observation Drug Susceptibility) assay is an affordable, rapid, robust and technically straightforward tool for diagnosis of TB and MDR TB in resource limited high TB burden settings. 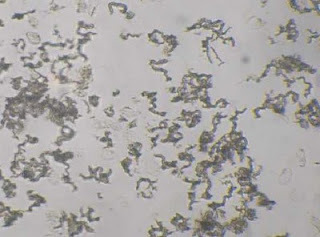 This assay, developed in Peru is a more sensitive, faster and cheaper test than the current culture based tests.The MODS assay has been developed by exploiting the characteristic features of Mycobacterium tuberculosis (that has been known for decades) that it grows faster in liquid (broth) than on solid media and grows in a visually characteristic manner (tangles, cording) which can be observed under the microscope long before the naked eye could visualize colonies on solid agar. Incorporation of anti-TB drugs into broth cultures enables direct susceptibility testing from sputum samples. The key data from the various evaluation studies on MODS reveal that the sensitivity of detection (98%) significantly exceeds automated MBBacT (BacTAlert) culture (89%) and Lowenstein-Jensen (84%) and speed of detection (median seven days) significantly exceeds MBBacT (13 days) and LJ (26 days). MODS delivers 99% concordance for MDR testing with gold-standard comparators. The philosophy underlying MODS is laboratory freeware – all the components are freely available from laboratory suppliers and there are no hidden, patented secrets.Material and running costs (excluding labour) for detection and MDR testing are currently US $2 per sample, approximately one twentieth the cost of MBBacT. Thus, the MODS assay provides rapid, highly sensitive and specific TB diagnosis and MDR detection at low cost and can be used safely in laboratories equipped to perform TB culture by conventional methods with modest initial capital outlay. Caviedes, L, et al., Ind J Med Microbiol 2007; 25:87 – 8. Caviedes, L, et al., J Clin Microbiol. 2000;38:1203 – 8. Moore, DAJ, et al., N Engl J Med. 2006;355:1539 – 50. Moore, DAJ, et al., J Clin Microbiol. 2004;42:4432 – 7. Vignesh, R, et al., J Infect.2007; doi:10.1016/j.jinf.2007.09.007. Vignesh, R, et al., J Med Microbiol. 2007;56:1709-10.